Can we chat for a minute about how much I love this hat? 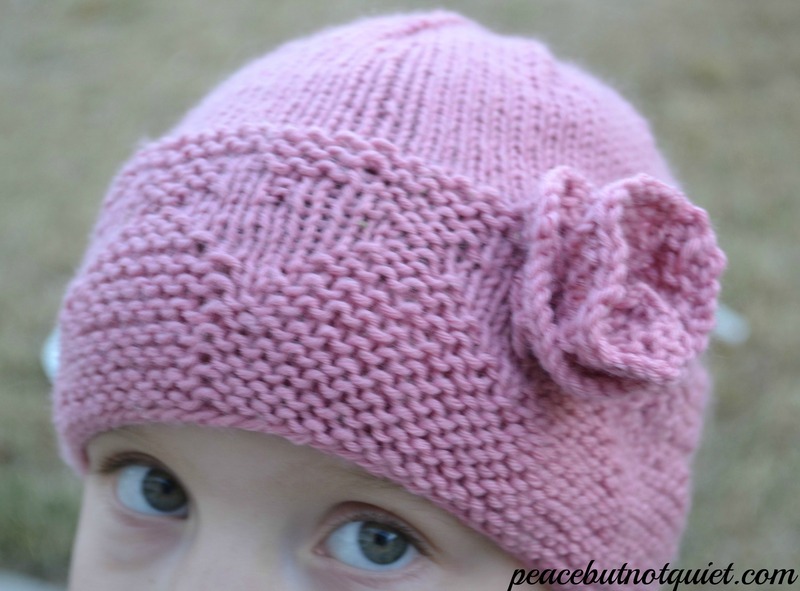 A lot of it is the yarn — it’s “Simplicity” by HiKoo in “Make Me Blush” and it’s the. Perfect. Shade. Of. Pink. A rose shade — not to sweet or baby-girly, but still fun for Valentine’s Day and spring in general. 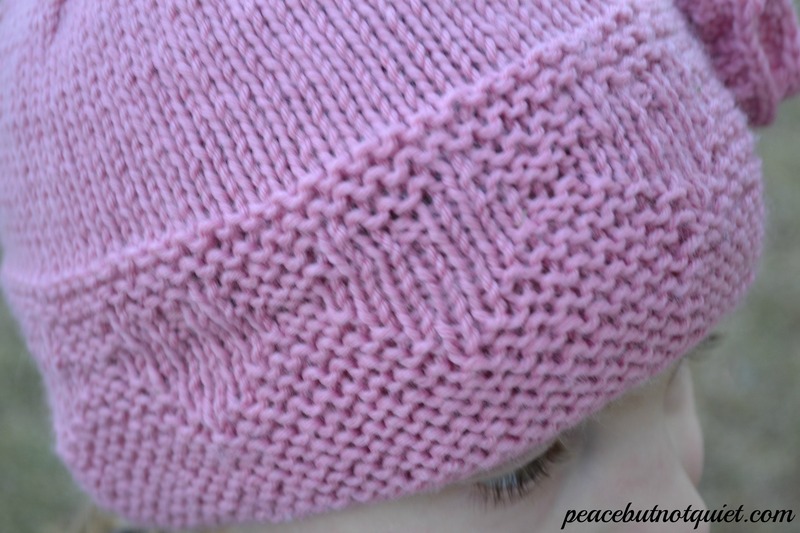 It’s now one of my favorite knit hat patterns. A pink this lovely needed a vaguely Valentine pattern to go with it, and so — I’ve come up with The Posy Hat. 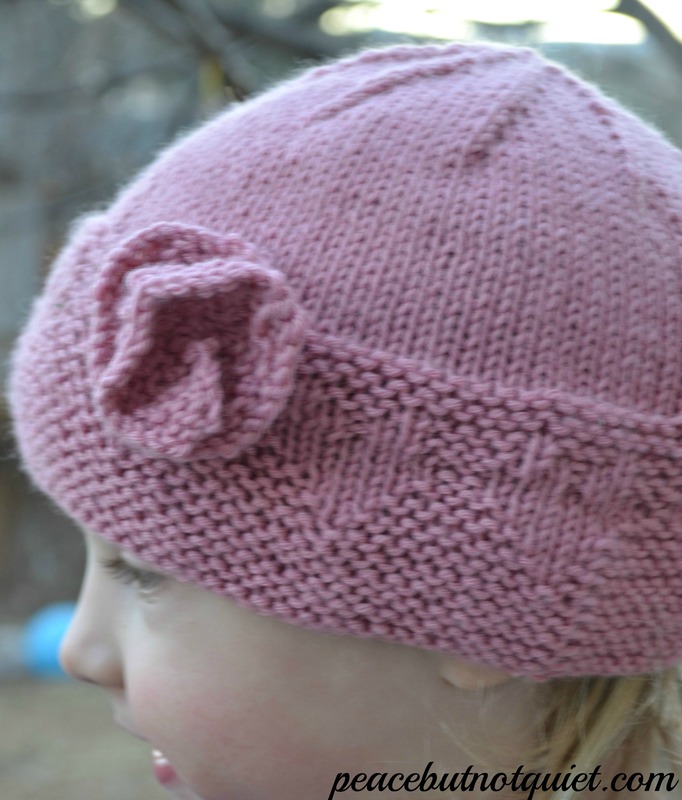 It’s got a garter stitch brim with a subtle heart pattern. When I finished, we decided that it needed a little…something else. So we added a rosette to one side. 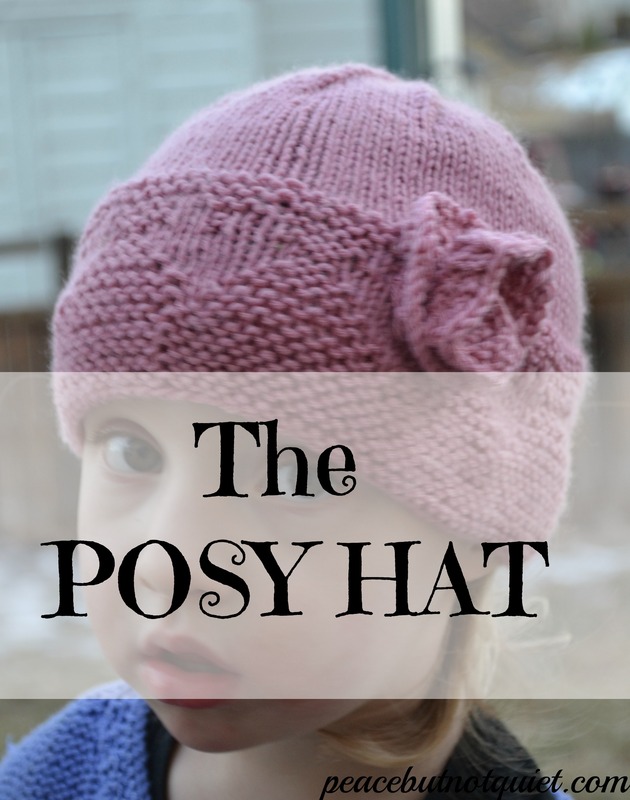 I think that, and the wide garter brim give it a little retro feel that’s super-cute. I knit the Lacy Sweater last summer and it’s still one of my favorites. If you like the pattern, it’s available in my new Etsy shop here. Yes! It’s true! I now have an Etsy shop! Named “Two Pretty Posies,” because I have two lovely girls. Also because I am one of two lovely (ahem) girls…and I intend to have my sister contribute some original art to the store very soon. We’ll be offering beautiful, unique things for babies and children…and maybe sometimes for their grown-ups as well. For now? 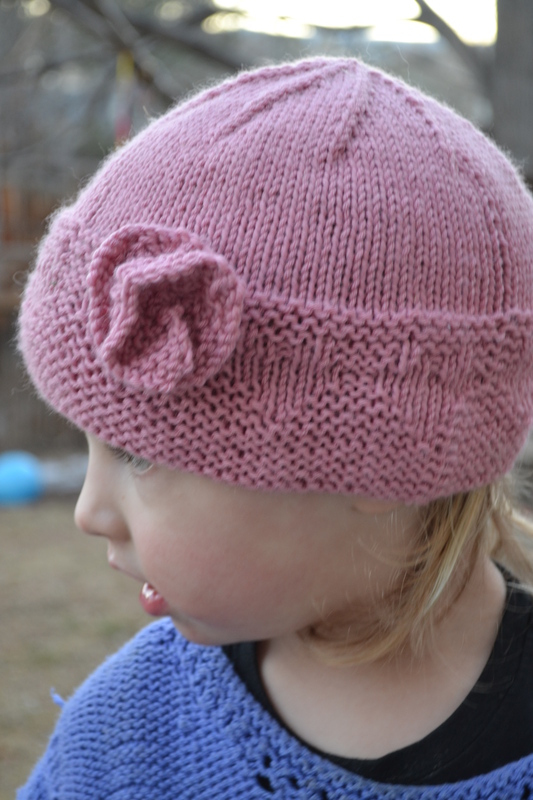 There’s this pattern…or if you’d like, I shall knit it up for you and make you the hat. Boom. My ravelry notes are here if you’d like to take a look. Happy Knitting and stay warm, everyone! I love the book, and I am actually going to be able to atnetd your opening (I just need to figure out how to get there from Penn station where the bus from Boston drops off).